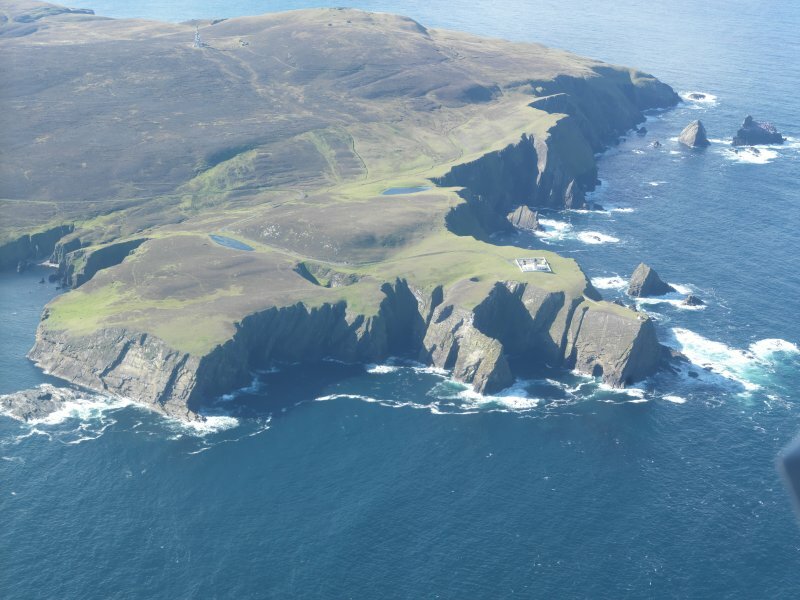 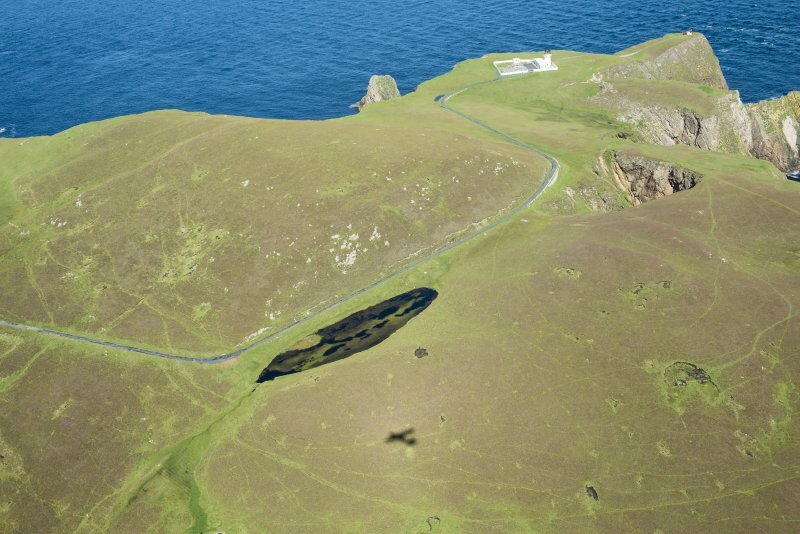 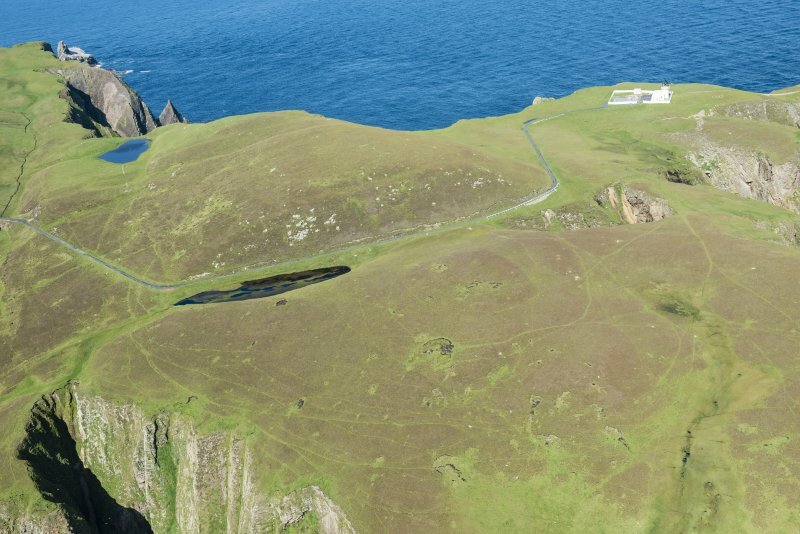 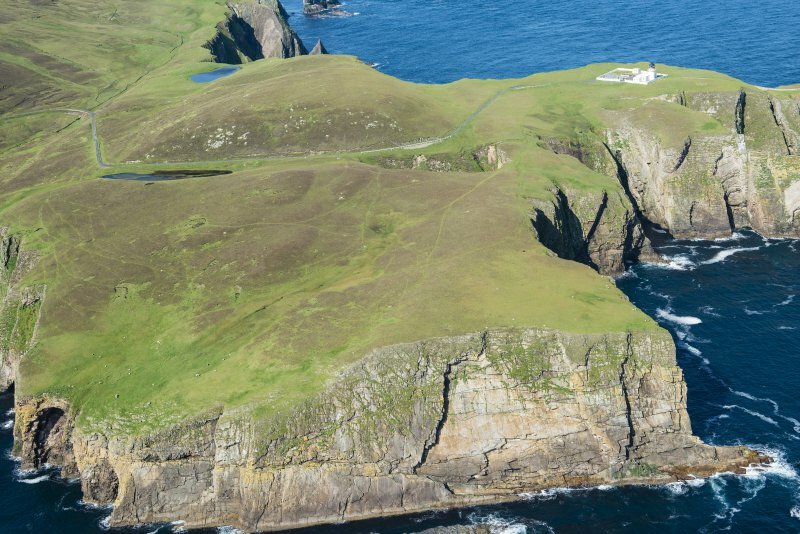 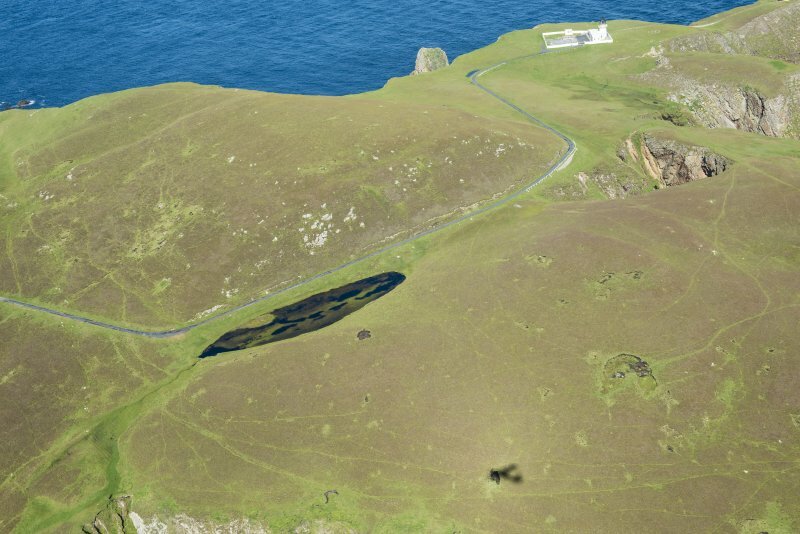 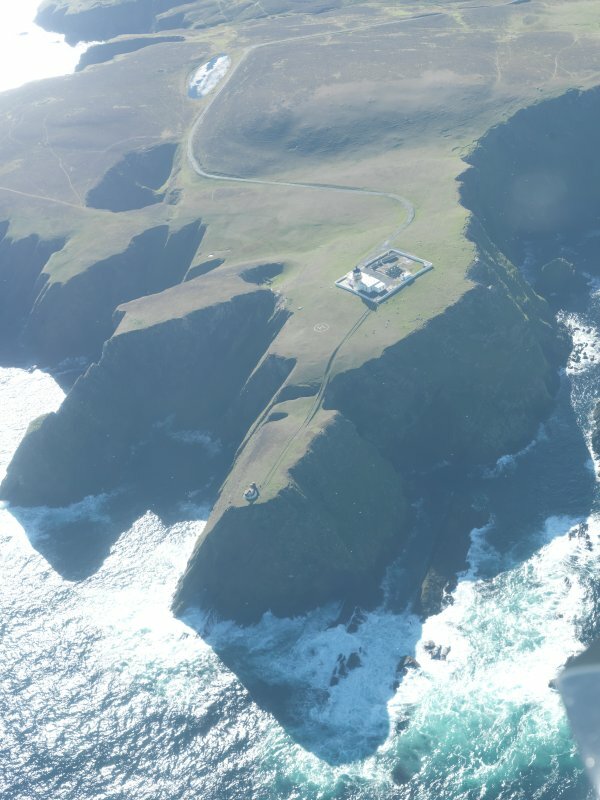 General oblique aerial view of Skroo Lighthouse, Fair Isle, looking SE. 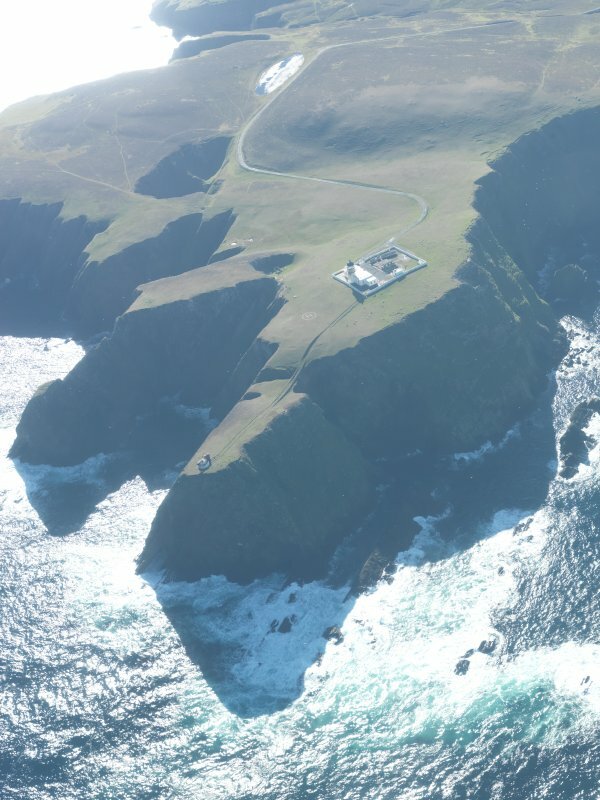 General oblique aerial view of Skroo Lighthouse, Fair Isle, looking S.
General oblique aerial view of Skroo Lighthouse, Fair Isle, looking SW.
Not to be confused with South Fair Isle (Skadan) lighthouse at HZ 1975 6981, for which see HZ16NE 21. 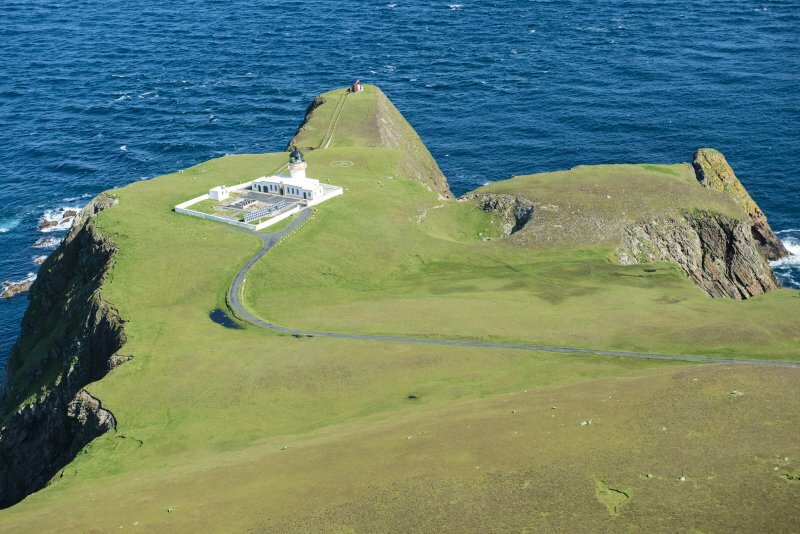 For rocket signalling establishment at Vaasetter (HZ 2066 7182 and 2080 7175), see HZ27SW 211. 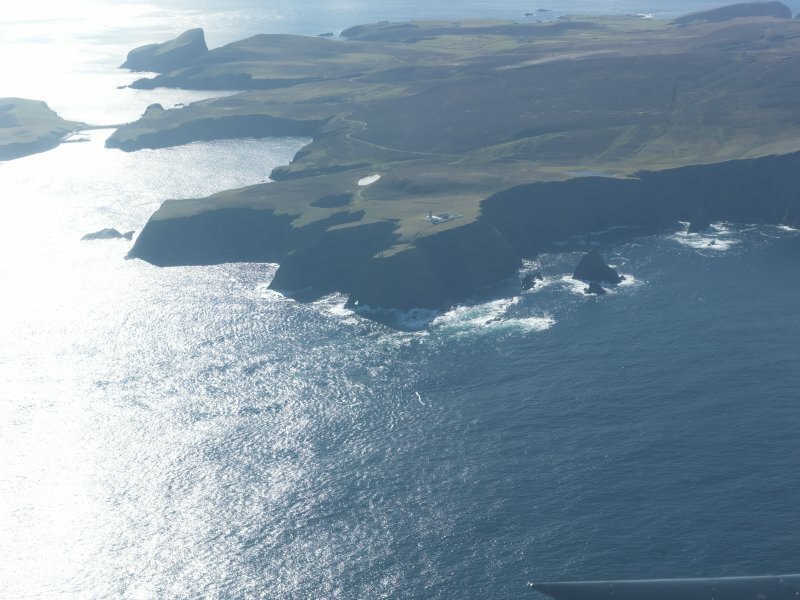 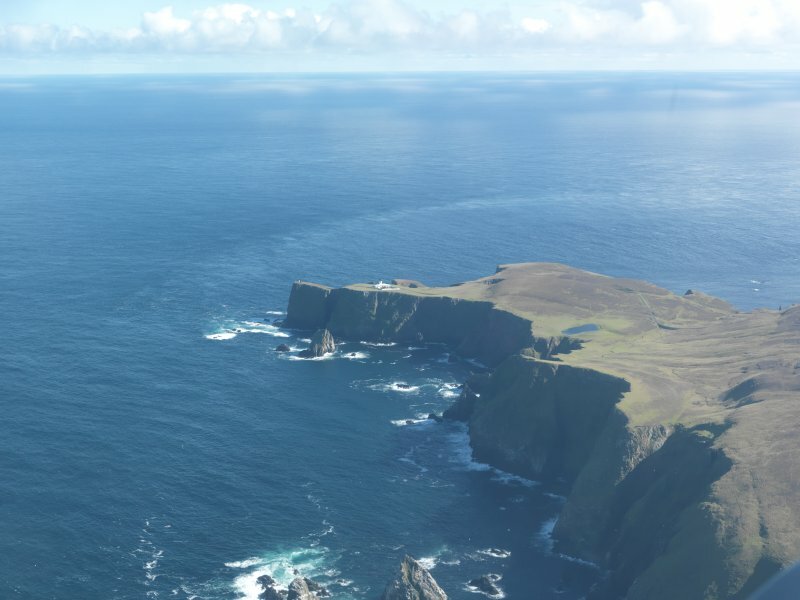 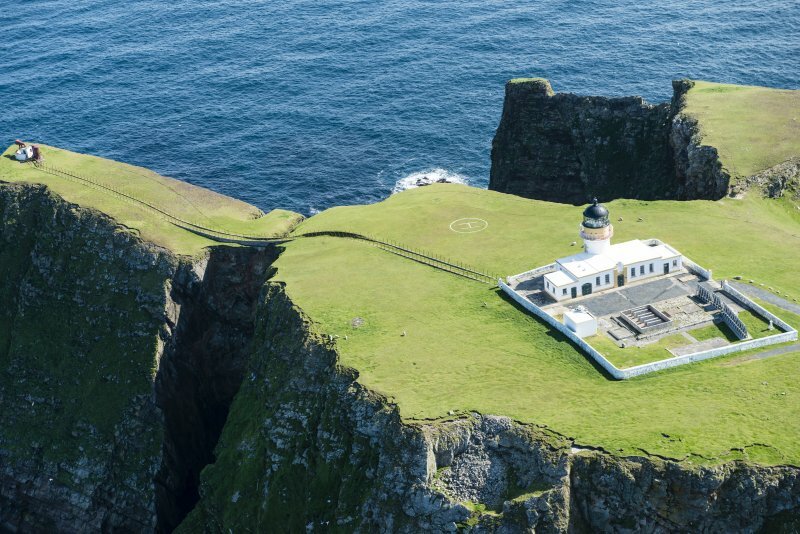 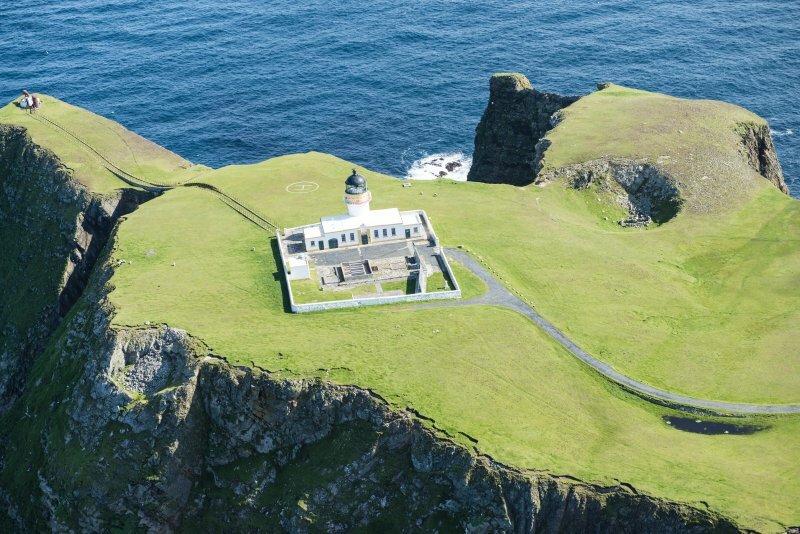 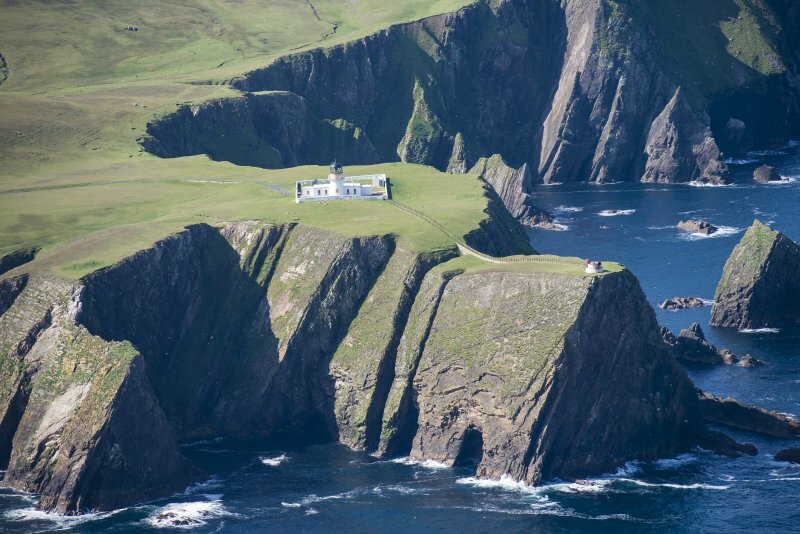 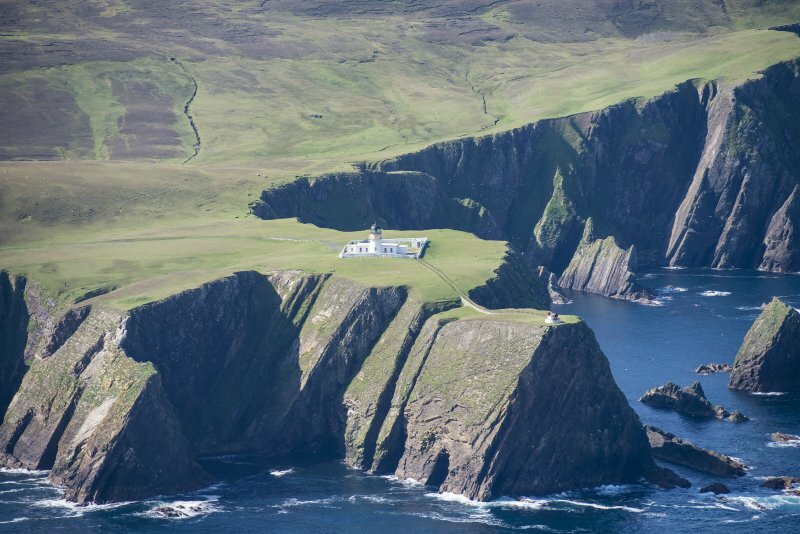 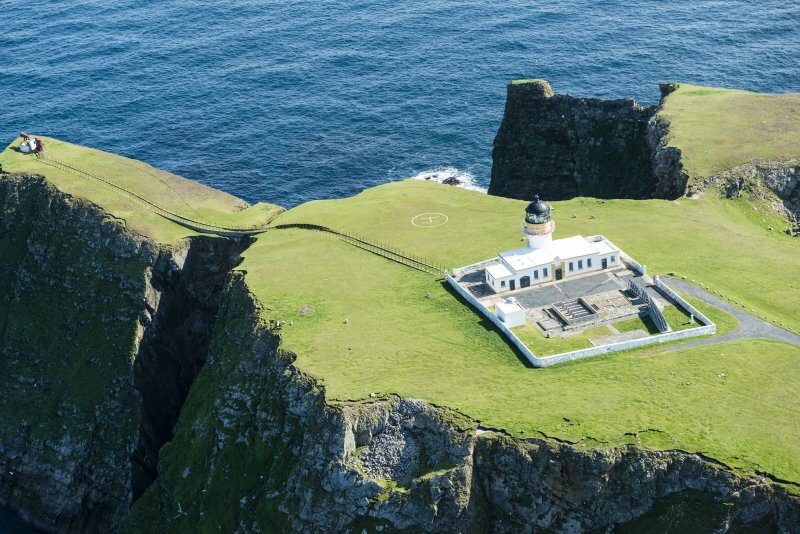 (Location cited as HZ 222 741 and name as North Fair Isle Lighthouse). 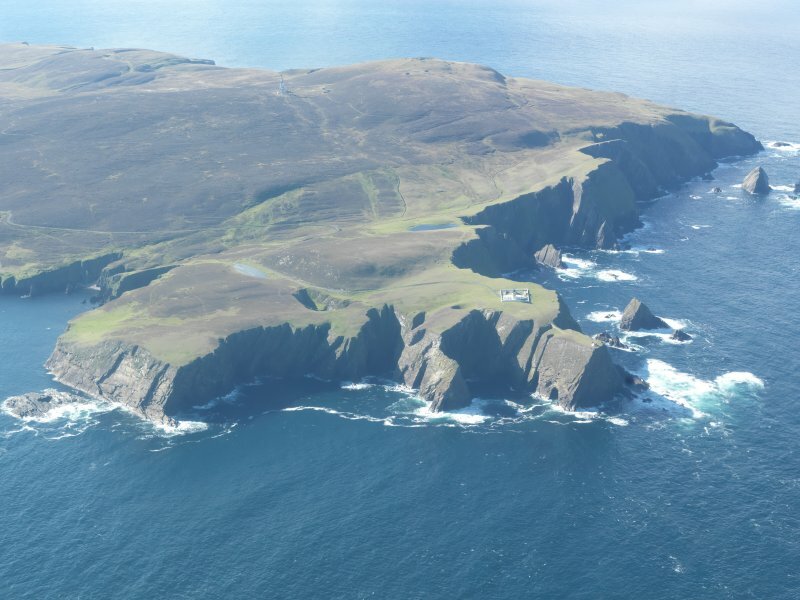 A short circular-section tower with 1-storey flat-roofed offices at the base and a range of 2-storey, flat-roofed keepers' houses. 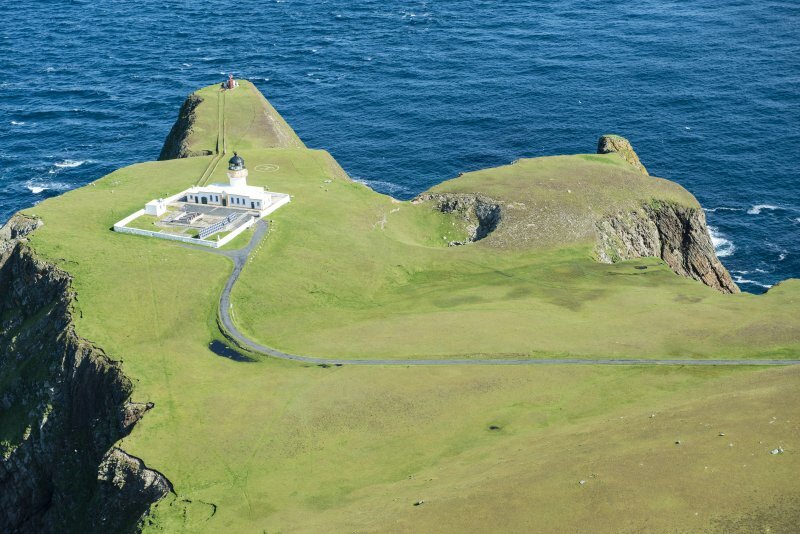 It is similar in construction to the South Fair Isle Lighthouse, and was also completed by D Alan Stevenson in 1892.